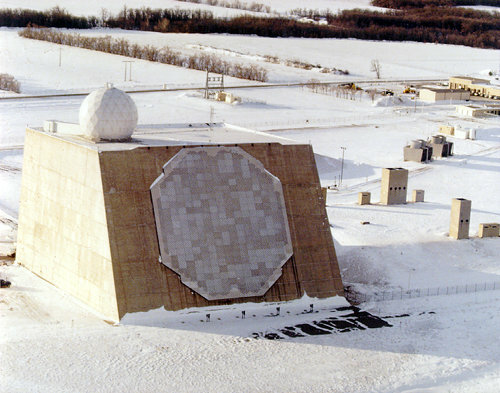 BAE Systems has been awarded a contract extension worth €5.4 million ($7 million) to provide technical services to support the AN/FPQ-16 Perimeter Acquisition Radar Attack Characterisation System (PARCS) solid state phased array radar located at Cavalier Air Force Station, North Dakota. This radar is operated by the 10th Space Warning Squadron of the United States Air Force Space Command’s 21st Space Wing. It is tasked with providing space surveillance and missile warning to the North American Aerospace Defence Command (NORAD) and United States Strategic Command (USSTRATCOM). The radar provides coverage of the north-eastern approaches to North America over the Hudson Bay. As reported in the February edition of ChainHomeHigh, the USAF has embarked on a modernisation programme for its AN/FPQ-16 and its AN/FPS-115/-120/-126 PAVE PAWS space and missile surveillance radars. This entry was posted in Ground-Based Radar, North America News. Bookmark the permalink.